Below you fill find all funeral homes and cemeteries in or near Olathe. Suburbs of Olathe: Lenexa, Overland Park. Olathe is also known as: Johnson County / Olathe city. Their current mayor is Mayor Michael Copeland. Zip codes in the city: 66051, 66061, 66062, 66063. Some of the notable people born here have been: Don Davis (american football player), Arland Bruce III (american football player), Chris Burnett (musician and record producer), Mark Andrew Bogdania (scientist), Michael Thomas (soccer player), Steve Fisher (snowboarder), and M. Alice LeGrow (costume designer and comics artist). 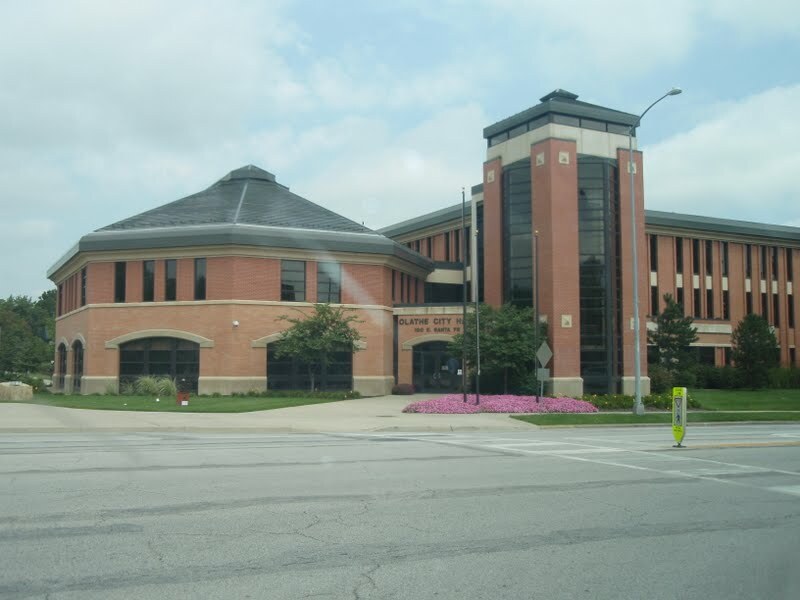 Olathe (/oʊˈleɪθə/ oh-LAY-thə) is a city in and is the county seat of Johnson County, Kansas, United States. Located in northeastern Kansas, it is also the fourth most populous city in the state, with a population of 125,872 at the 2010 census. Olathe is also the fourth-largest city in the Kansas City metropolitan area. It is bordered by the cities of Lenexa to the north, Overland Park to the east, and Gardner to the southwest. It was noted by Topeka Capital-Journal on March 29th, 2019 that John Pankratz passed away in Olathe, Kansas. Pankratz was 81 years old. Send flowers to share your condolences and honor John's life. It was written by Topeka Capital-Journal on February 23rd, 2019 that Sharon "Sue" Stultz died in Olathe, Kansas. Stultz was 76 years old. Send flowers to express your sorrow and honor Sharon "Sue"'s life. It was disclosed by Topeka Capital-Journal on February 7th, 2019 that Sharon Sue Chermok (Felt) passed on in Olathe, Kansas. Ms. Chermok was 71 years old. Send flowers to share your condolences and honor Sharon Sue's life. It was disclosed on January 18th, 2019 that Mary Jim Bright perished in Olathe, Kansas. Bright was 83 years old. Send flowers to share your condolences and honor Mary Jim's life. It was noted by Hutchinson News on January 14th, 2019 that Wynn Scott Laird passed on in Olathe, Kansas. Laird was 71 years old. Send flowers to share your condolences and honor Wynn Scott's life. It was disclosed by Topeka Capital-Journal on January 9th, 2019 that Carol Massieon died in Olathe, Kansas. Massieon was 72 years old. Send flowers to share your condolences and honor Carol's life. It was reported on January 6th, 2019 that Joel Patrick Koger passed away in Olathe, Kansas. Koger was 63 years old. Send flowers to express your sorrow and honor Joel Patrick's life. It was disclosed by Hutchinson News on December 29th, 2018 that Ruth Ann Hopkins (Lake) passed on in Olathe, Kansas. Ms. Hopkins was 77 years old. Send flowers to express your sympathy and honor Ruth Ann's life. It was revealed by Topeka Capital-Journal on December 26th, 2018 that Vicki Lynn Brubaker (Start) died in Olathe, Kansas. Ms. Brubaker was 69 years old and was born in Vincennes, IN. Send flowers to share your condolences and honor Vicki Lynn's life. It was revealed by Topeka Capital-Journal on December 18th, 2018 that Patrick Allen Middendorf passed away in Olathe, Kansas. Middendorf was 25 years old. Send flowers to express your sorrow and honor Patrick Allen's life. Whether you hope to send flowers to a funeral, or are searching for the funeral home that best suits your needs iMortuary can be of assistance. Browse below to locate the funeral homes, cemeteries, cremation providers, and funeral flower arrangers in Olathe. 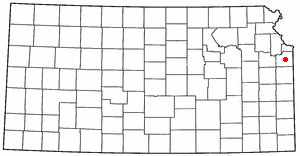 During the spring of 1857, Dr. John T. Barton was traveling through Kansas, and claimed 2 areas of land for a town site. It is said that when Barton described his journey through the area he specifically remarked upon the areas beautiful landscape full of wild flowers. He asked his translator how to say "Beautiful" in his native tongue and the translator said "Olathe", thus the town was named. The official website for the city of Olathe is http://www.OlatheKS.org. Visitation will be from 5 to 7 p.m. Thursday at the Patton-Schad Funeral Home in Sauk Centre and from 10 to ... Judy (Kent) McMeen of Olathe, Kansas, and Candy (Garry) Freeman of Melrose; eight grandchildren; and 16 great-grandchildren. Evans, 67, of Lawrence passed away October 28, 2010 at Olathe Medical Center ... contributions be made to Prairie Paws and sent to Lamb-Roberts Funeral Homes, P.O. Box 14, Ottawa, KS, 66067. Online condolences may be left at www.lamb-roberts.com. Listing all funeral homes in Olathe, Kansas so you can easily send flowers to any location (same day delivery) or find any funeral service. funerals in Olathe, KS 66061 on Yahoo! Local Get Ratings & Reviews on funerals with Photos, Maps, Driving Directions and more. Find BBB Accredited Funeral Directors near Olathe, KS - your guide to trusted Olathe, KS Funeral Directors, recommended and BBB Accredited businesses. Find BBB Accredited Funeral Services near Olathe, KS - your guide to trusted Olathe, KS Funeral Services, recommended and BBB Accredited businesses. We work with local florists and flower shops to offer same day delivery. You will find budget sympathy flowers in Olathe here. Our funeral flowers are cheap in price but not in value.